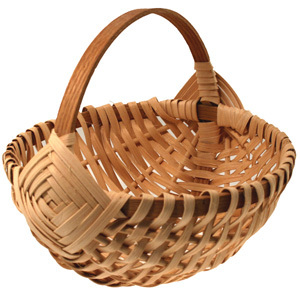 Includes Pattern for Traditional rib basket; 1/4" flat reed, #6 round w/8"hoops. 8" diameter. Adult Beginner Level. SKILLS LEARNED: Weaving rib baskets with flat reed over round reed ribs.